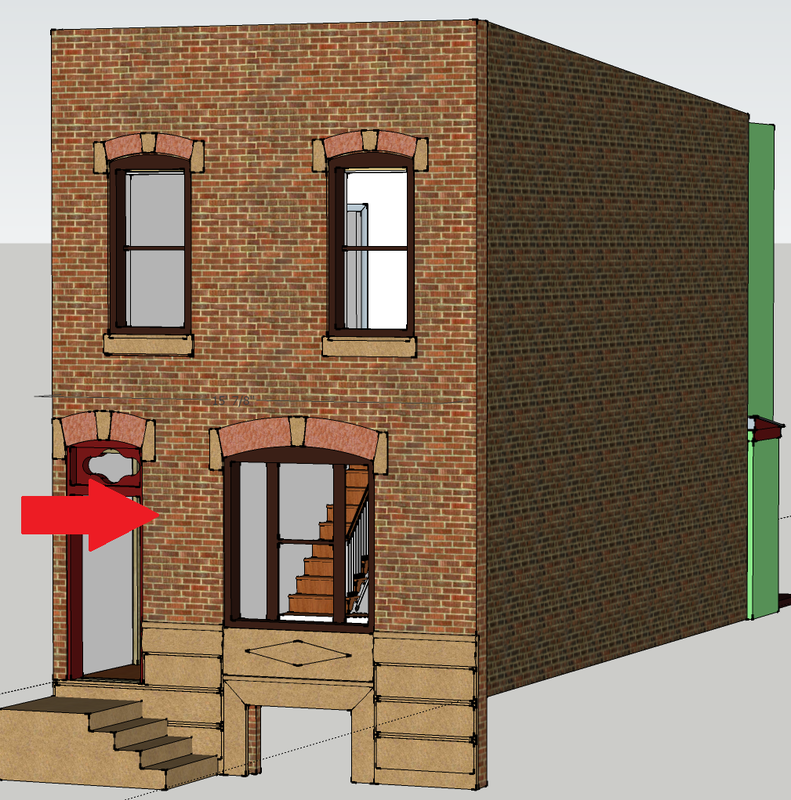 Back in January, I got a hold of a 16" long, 3/4"dia masonry bit and piloted a diagonal hole through the front of the house, through two courses of bricks, to a wall that divides out the foyer from the living room. The hole wound up being about 14" long, on an angle. I tried to ace the hole from the bricks out front, into the interior wall. I'm a known master of acing drill holes; I figured this should be a piece of cake. Pre-Occupy archives. 4'+ Auger bit that I needed to ace into a 2" diameter hole, at an angle, about 40" from entry point. For those of you that know augers, this is a commitment from that starting gate. Aced all 18 rafters on a finished product. Well, my track record and resume is very solid, but apparently I'm a little rusty. I missed this one by about 1/2". I did actually hit the wall, but it peaked out into the living space a hair (technically, it didn't because after sheetrocking that wall with 5/8" rock, the hole was invisible). Let's just say for the sake of keeping my ego inflated, that I aced this hole as well! Unfortunately, I cant' dig up any pictures. Tons of digital archives were lost when I left my last job. They may be on a backed up DVD somewhere, but for the sake of getting this post moving.. I'm going to give up looking for now. Plan view of living room: angle at which I had to drill 14"
Anyway, that's the situation. Since January, I've had a small coil of romex sticking out of the exterior wall just waiting for a building inspector to stop by and ask me to undo all the wiring in my house. My only attempt to disguise it was wrapping some electrical tape around it for "camouflage". This brings us up to date with these other related posts. Burying a pancake box in the shroud of a lighting fixture is really difficult, which forced me to get into some 'custom' trim work to help facilitate my dirty electrical work. Today, I finally got out the hammer drill and tapcon'd this ridiculous piece of azek into the front wall. I'll spare you the details of the actually wiring. The short and narrow is: I wired a switch inside the foyer for this, which daisy-chained off the main 3-gang switch box I have in the living room (I thought four (4) switches in my living room was a bit excessive for a house this size). This new lamp is powered by living room circuit #1. The placard which I spray painted actually blends in half-decently. This won't get me to the cover of fine woodworking, but think it gains me at least 1 or 2 points of street cred. If you use your imagination, it actually look like its part of the fixture. Use your imagination very hard. A much-needed successful day. Our section of the street is particularly dark because its about halfway between two street lights. Add the tree that I planted into the mix, and you have one pretty dark and shady house entrance.